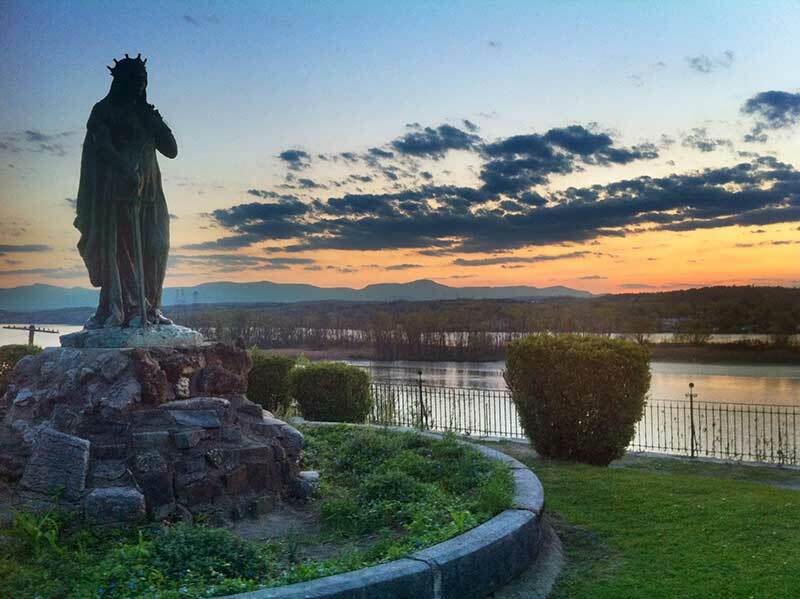 Discover Hudson NY: A Jewel On The Shores Of The Hudson River! The quaint town of Hudson NY is located in Columbia County in the lush Hudson Valley Region of New York State. Once a busy port city used by whalers, this come-again community has lovingly restored many of its early 19th century homes and architecture. It continues to develop an elegant sense of past, present and future. Restaurants in Hudson NY range from great Italian and Mexican dining to eclectic establishments serving southern cooking and pizza. There are a number of bed and breakfast locations as well as hotels for visitors. The village has an elegant period feel, and walking the main street at dusk it presents like a period postcard. Antique shops, art galleries, exhibits and a thriving art scene provide a colorful and vibrant backdrop for visitors and residents. During the annual Hudson Artwalk, shop owners display the work of local artists in their storefront windows. Hudson is located on the eastern shore of the Hudson River. It is 2.5 hours north of Manhattan and just under 3 hours from the city of Boston.